It gives me great pleasure to bring to your attention the publication of our recent Inspection Report which has been shared with parents and published here on our website. We are delighted that the Early Years Foundation Stage (EYFS), which includes the Nursery, Pre-School and the Reception Class, was judged to be outstanding. This affirms what we know – that our EYFS gives your children the very best start in life by giving them a positive, happy and caring environment, very much in the Kingsley tradition. The inspection team noted that the outcomes for the pupils, both emotionally and academically are outstanding. Congratulations to Mrs Wilson, Mrs Maynard and Miss Dare for their leadership of the EYFS, which was also, rightly, judged to be outstanding. 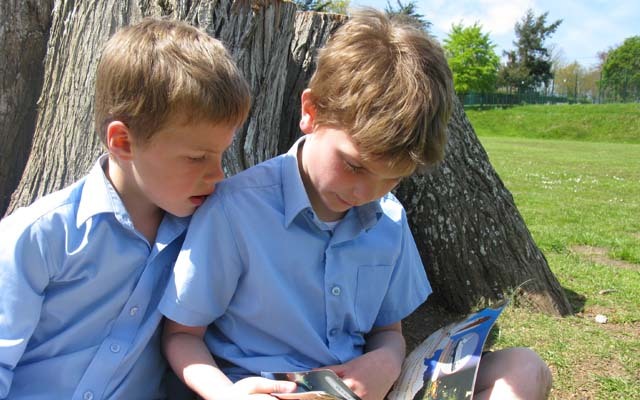 The inspection report comes in two parts; one part for the Early Years Foundation Stage (EYFS), which has a high level of detail and is supported with clear judgements about the quality of the provision; the other part, for the rest of school from Year 1 in the Junior School up to Sixth Form, was one of the first of the new Compliance Inspections. This gives far less detail than previous reports and seeks only to ensure that the school meets the requirements as laid out in the Independent Schools regulations. On this basis, we are delighted that quality of education (the main business of the School) provided throughout the school, met the standards required. This is particularly pleasing given the school’s emphasis on developing each pupil as an individual and according to their needs. The school also met the requirements for spiritual, moral, social and cultural development of pupils, an area that is fundamental to the values of the school. Inspections are about helping to schools to improve and in this spirit, a few issues were raised about how the school records staff and volunteers who have only occasional contact with pupils at the very fringes of the school community. The welfare, health and safety of your children is clearly paramount and we are determined to get this right. The school was noted for promoting good behaviour and actively challenging bullying. All the health and safety requirements, including those relating to fire and the provision of First Aid, were met. Given the importance of boarding to the school community, we were delighted that the care of boarders was noted as sensitive to their different needs. There were two other issues that needed to be addressed, which had implications across several aspects of the inspection. We welcomed the advice given and you will be pleased to know that the changes to procedures required to address the issues raised, summarised in the six action points in the Inspection Report, were made immediately after the inspection at the end of April. I am confident that the school continues to provide a safe and caring environment for your child that fully complies with all the requirements set out in the independent school regulations. I would like to thank all those involved in helping to make this a successful and useful inspection, from the inspectors to the pupils, parents, staff and governors. Should you have any specific questions that arise out of this, please don’t hesitate to contact me.